The student-led venture team, Pedaling embarks on providing educational and emotional support to children, affected by Typhoon Chaba. The student-led venture team, Pedaling embarks on providing educational and emotional support to children, affected by former Super Typhoon Chaba. Mr. Kong and his team has recenly developed Pedaling, an award winning eLearning mobile application that facilitates an active and engaged learning environment both in and out of the classroom. Pedaling offers students access to one-on-one tutoring, which can help students find the kinds of classes that best suit their needs. As part of disaster relieft efforts, Mr. Kong and his team have decided to offer free online lessons for the next three months to three students who were affected and displaced by Typhoon Chaba. This estimated to cost Pedaling KRW 450,000 for each student, and KRW 1.35 million in total. 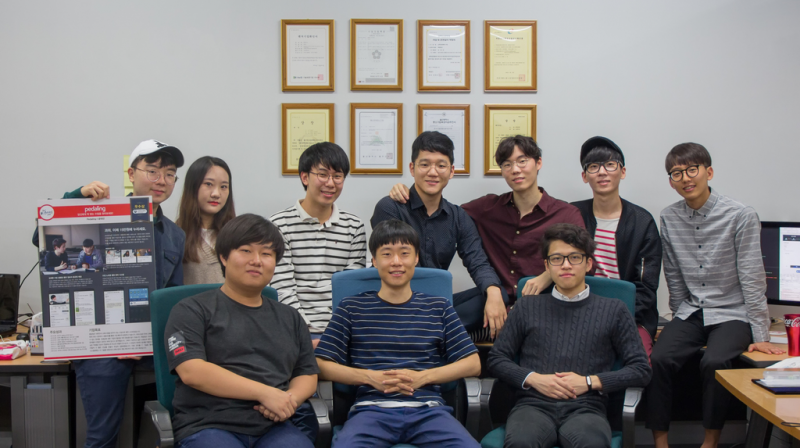 These students are from Beomseo High School and reside at Bancheon Hyundai Apartment, which was severely hit by the typhoon.